Want to run Accpac on your iPad? Citrix Receiver for iPad makes it easy to access Accpac on the go. One simple touch gives you secure access to all of your corporate Windows applications and desktops, making it easy to work from anywhere while still enjoying the great user experience that you bought an iPad for in the first place. 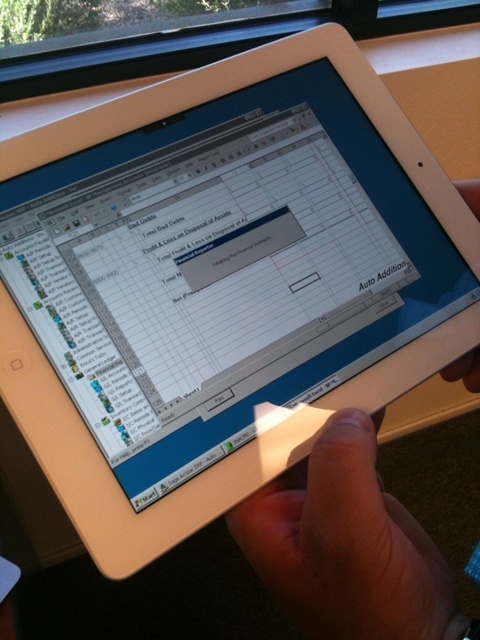 Here's a picture of our client running Accpac on his iPad. Check out the video by Chris Fleck VP of Solutions Development at Citrix that walks you through some of the cool features of the Citrix Reciever for iPad.